How ironic, I realize now, reading over the first part of this—what is this?—that I misremembered the word my mother had trouble remembering. My mother was talking about her commitment to learning Chinese. She said, “I’ve been very deciduous.” Then she laughed and said, “No, no, that’s not it.” I tried to help, “determined, dedicated?” But the word she was looking for and finally found was diligent. Slippage. We both. Misattribution, suggestibility, and bias are types of distortion. It occurred to me while sitting at the Sylvia Plath tribute that the kind of fear Jorie Graham felt when pregnant for the first time—having no living female writer to look to for guidance, no example of a woman who had had a child and kept writing—was not my experience. I had Jorie Graham. I had Brenda Hillman. I had Alice Notley. Hers is an interesting list. As Canadian contemporaries to her list, I could mention Daphne Marlatt, Nicole Brossard, Sharon Thesen. I could mention Alice Munro, Carol Shields, Margaret Atwood and Elisabeth Harvor (although Harvor chose not to start sending out work until after she had divorced and her children had left home). Closer to temporal home, I could mention Margaret Christakos, and many other examples of, at least at the time Zucker writes of, living Canadian women writers who continued to write after having offspring (and yet, the fact that it takes a couple of minutes to write up such a list is telling in itself). I’m surprised there aren’t more examples of American women poets from that period (there must be). Still, the growing awareness of such possibilities makes one hope that writers younger than Zucker will know they have a larger list to draw inspiration from. Consider Zucker herself, and how much she has managed to publish during a period that also saw the births of her three sons. A thread similar to Zucker’s comes out of Toronto writer Priscila Uppal’s memoir on re-attempting and re-discovering her own mother after decades of loss, Projection: encounters with my runaway mother (Dundurn, 2013) [see my review of such here], as she describes going through her own variations on seeking, deliberately or accidentally, her own mother-figure stand-ins. The loss can’t help but be devastating, and the expectations are huge. The little bird in P.D. Eastman’s classic children’s book (1960) keeps asking what could be our first and most basic question: Are You My Mother? I always, from a very young age, wanted to be a mother. I wanted to have lots of kids and stay home and do art projects with them and cook and one day start a school. I did not want to be a writer like my mother. It was a delicate fantasy—wanting to be a mother but not like my mother—and I was always aware that this was an unstable structure. Zucker’s essay-memoir is held together through a series of ebbs and flows, collecting narratives together from individual strands into a structure that is straightforwardly un-straightforward, weaving together something that is more than the sum of its parts. As much as it is anything else, MOTHERs is the articulation of Zucker giving herself permission to push deep into poetry, mothering, motherhood, mentors as well as her own mother, and attempting to comprehend how all of it might work, all impossibly wrapped up into each other. It would seem that her entire process of attempting to understand how it all works (and doesn’t work) is in the very act of writing itself. What becomes fascinating about MOTHERs is in how complex and familiar so many of these feelings are, from attempting to discover those first strains of writing that begin to make sense to attempting to articulate a sense of self apart from the parent. 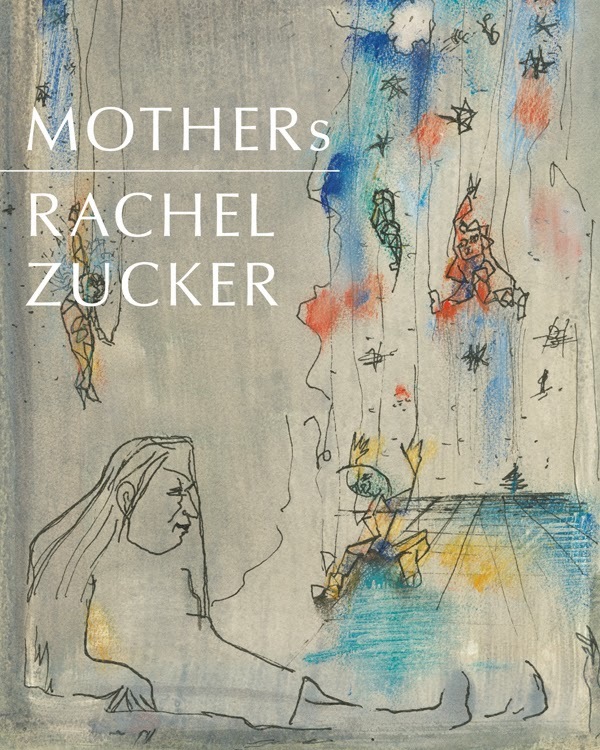 MOTHERs is a book that explores the entire foundation of Zucker’s writing and writing life. Beginning well before her first collection, Eating in the Underworld (Wesleyan, 2003), she clarifies the trajectories that lead her to composing a collection of poems on Persephone, and how deeply the book was influenced by the work of Alice Notley, specifically The Descent of Alette (Penguin, 1996). She writes: “I wrote into the poems about Persephone. I wrote into and around and out of them. Because I saw the story of a powerful, controlling mother and her daughter who wants something else—a daughter who is stolen or perhaps goes willingly into an underworld where she will have power, where she will be queen. Poems aren’t stories but I changed mine because of the story that was already there, that I was already telling.” After having become a mother herself, she even begins to understand the mythical Demeter, moving through the prose of Adrienne Rich. Throughout more than a half-dozen trade books, Zucker has written deeply and widely on the experience of mothers, mothering and children, and the terrors, pleasures, fears and joys that emerge, from the collaborative Home/Birth: a poemic (with Arielle Greenberg; 1913 Press, 2010) to her solo poetry collections Eating in the Underworld, The Last Clear Narrative (Wesleyan, 2004), The Bad Wife Handbook (Wesleyan, 2007) and Museum of Accidents (Wave Books, 2009). Her newest title, The Pedestrians (Wave Books, 2014), is forthcoming in April. I wanted to write an essay about how, from beyond the grave, James Schuyler led me to Alice Notley. How I found and stole Notley’s book How Spring Comes and read the poem “The Prophet” and love it but didn’t even know that this was the poet who would sustain me in my dark hours because I hadn’t yet come to live the life she was describing, hadn’t had children, not yet, but would. I wanted to write about how Jorie Graham was another mother, a glorious queen-witch who frightened me just as my own mother frightened me, whereas Alice Notley wasn’t my mother but a future possible self, which is a kind of mother. I too would be the mother of sons. Four months and a few weeks since Peggy died. There is the idea that every day we should attempt something that scares the hell out of us, and there is something absolutely fearless about this essay-memoir, as Zucker writes about, around and through these things that quite rightly make her deathly afraid of exploring—the death of a dear friend, the complications of mothers and children, and writing itself. “Five hundred word of fiction six days a week. No matter what. Because there’s always something. Something or someone trying to make this impossible,” I write to the student interviewer. Who am I really talking to?